In Gordo, Alabama, a small lumber processing business is leveraging customer service and flexibility to better serve its customer base. 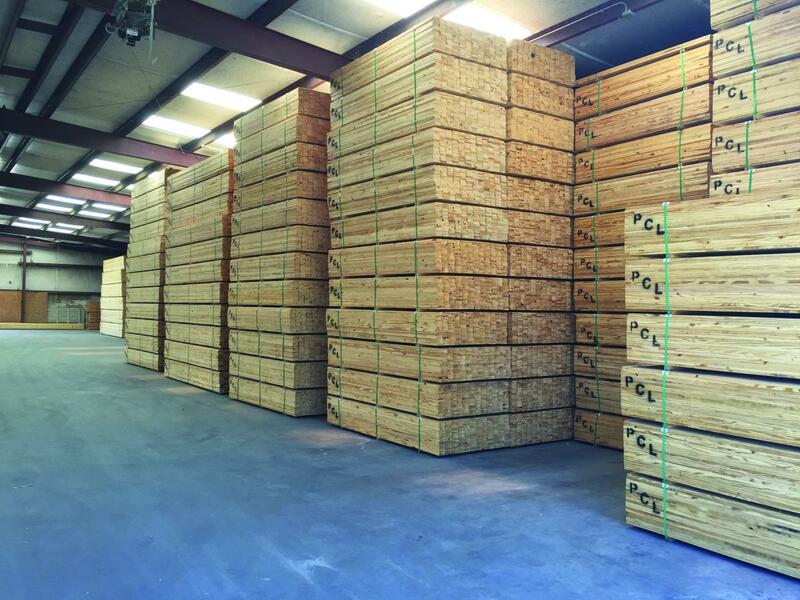 Pre-Cut Lumber (PCL) processes regionally grown Southern yellow pine. Lee Drain, owner of PCL, began laying the groundwork for his successful business in 1998. Initially, the company serviced the pallet industry with hardwood. In 2007, Southern yellow pine became PCL’s primary medium. Over the last nine years, the company has established and maintained longstanding relationships with suppliers and customers. Communication is the key to PCL’s continued success in the industry. “So much is email now, but we try to get on the phone with our partners and customers once a week — we address their needs and we visit their facilities,” says Drain. The PCL team also focuses on quality control – ensuring that the company’s products meet or exceed customers’ expectations. While one-inch Southern yellow pine board is the primary product running through PCL’s facilities, the business takes on custom work for a number of customers, such as re-sawing and planing for various companies. 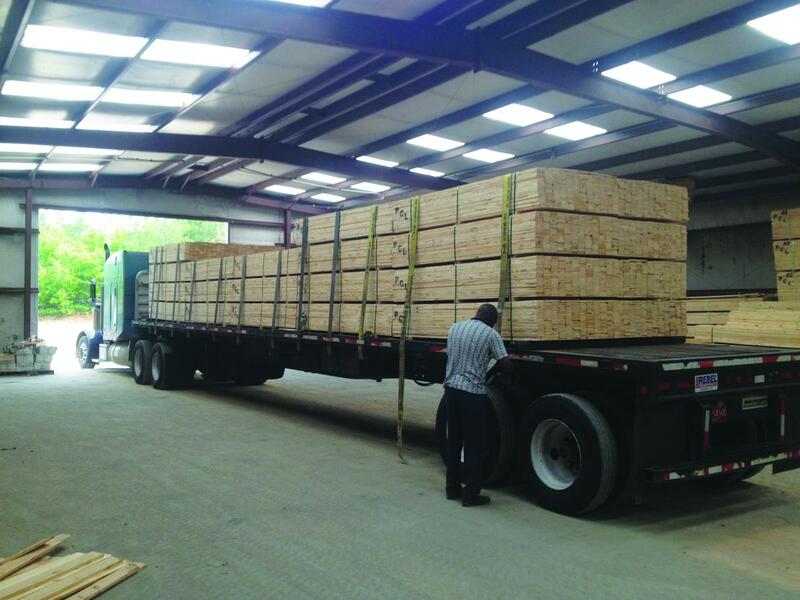 At the company’s single location in Gordo, PCL’s facilities perform sawing and planing as well as spray treatment, preparing wood for distributors that ship wholesale lumber to a diverse market. The company’s lines include modern, efficient equipment such as a Holtec package saw, Baker unscramblers and resaws, custom-built trim saws and a dog-ear fencing machine, as well as a Yates B-26 surface planer and a Yates A20-12 planer/matcher. The business also has in-house custom, inline spray booths for xp-64 mold inhibitor. Drain is not the only one in his family with sawdust in his veins. His great grandfather made wooden wagon wheels for Studebaker; his grandfather was part owner of a local sawmill and was a planer man; his father worked with wood his entire life and owned a pine furniture manufacturing plant. Drain works alongside his uncle, Glenn Drain, who serves as head of quality control for operations and maintenance at PCL. Other valuable team members include Naomi Brown, office manager, who leads sales and shipping, as well as Daniel Hall, mill manager, who oversees production, shipping and inventory management. With the skills, personnel and technology in place to succeed, Drain and his colleagues are looking forward to continued diversification of PCL’s product line. This includes the addition of T&G, V-joint and center-match products as well as adding dry kilns to take advantage of green lumber offerings. Drain has a simple policy that has guided PLC over the years. “We say yes to our customers and figure out how to do what they need,” he explains. As the business grows, Pre-Cut Lumber will continue to make headway, taking on new challenges while serving its customers well.